Marx WWII Japanese Soldiers. 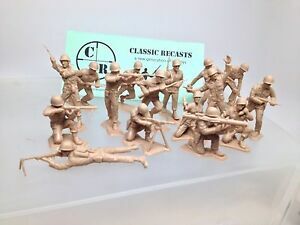 One Set Of Six, 3.5 Inch Tall, Recast Figures. Vtg. Marx 50's Western Light Gray Calvary Horse Fort Apache & Civil War! #387-Y! Vtg. Marx 50's Western Black Calvary Horse Fort Apache & Civil War! #386-Y!